Speakers often begin their presentations with a joke. Sometimes it’s funny. Sometimes it’s relevant. Sometimes it’s none of the above. Can humor help persuade an audience? Well, yes and no. Self-deprecating humor can help you build credibility with an audience and that can help you be persuasive. But the main reason to use humor is to hold the audience’s attention. People like to laugh. 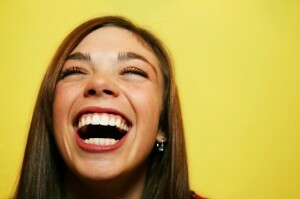 So if you make them laugh early in a presentation, they’ll look for additional laugh cues later in the presentation. They’ll pay more attention because they don’t want to miss your next joke. On the other hand, humor will never move an audience to action. People who are laughing just want to keep on laughing. If you want an audience to actually do something, the most potent emotion is anger. Humor helps people absorb information. Anger moves people to action. It’s why our political ads are so angry. Learn more in the video. 3 Responses to Is Humor Persuasive? I agree that self-deprecating humour is always best, however there a potential problem with using humour in a presentation to an international audience. Whilst one’s own nationality might find it amusing, those from another nationality might not see the joke or worse still find it insulting for some reason unknown to the speaker. I have been advised that, whilst keeping one’s tone light, avoid telling jokes to an audience from a nationality other than one’s own. As he is a well-travelled international speaker, I’d be interested in Travis’ comments on this.